Very Good. 0330449605 enscription on first page. Simplistic, typical romance story. Can we have a heroine who does not have red hair and green eyes? A great read! A couple of wet afternoons and it was finished. Thoroughly recommend. At first, the jumping back and forth in time to tell the stories of multiple charachters drove me a little bit crazy. But it didn't take very many chapters to start feeling pulled in by the complexity of the story. The characters were vivid and well-drawn and human. And I liked the brief cameo by Frances Hodgson Burnett. My only complaint with the story is that I figured out enough by about 2/3 of the way through that I wasn't really surprised by anything at the conclusion. Some of the details of what I thought would occur were different, and some things I wanted to have happen didn't, and certain characters were either more or less menacing than I expected. Despite that, I enjoyed getting there. 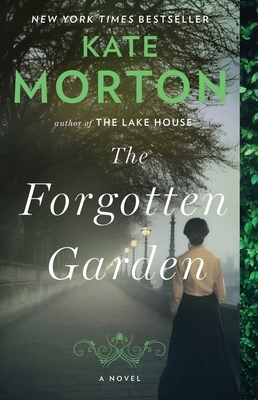 Kate Morton is a very talented writer, and she made the story enjoyable to the end. I purchased this book after reading the authors first book. The story didn't disappoint, a great mix between three different times, beautifully woven together. I wouldn't read it if you don't have the time to be focussed on a few chapters at a time, otherwise you'll get a little lost!